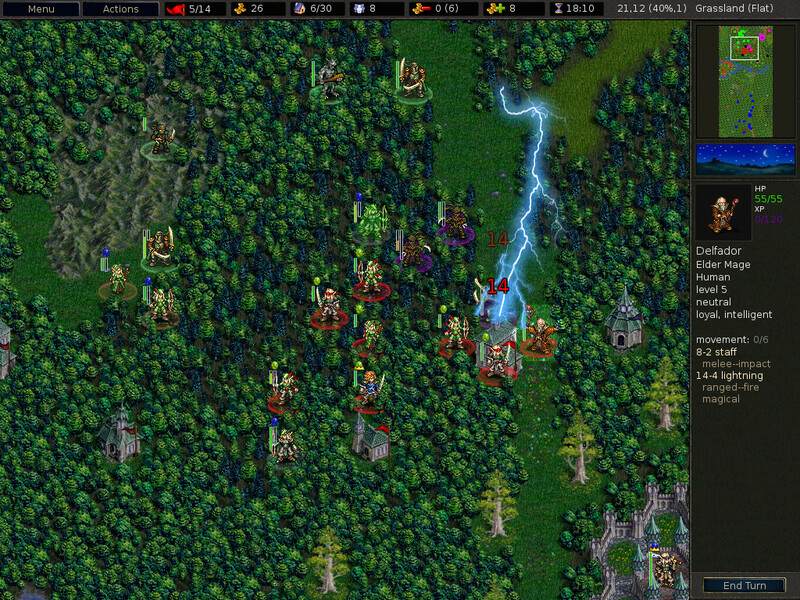 The Battle for Wesnoth is a free, turn-based strategy game with a fantasy Build up a great army of humans, elves, dwarves, orcs, trolls or any of the other races and beat those who dare to oppose you. Fight a desperate battle to reclaim the throne of Wesnoth, or take hand in any number of other adventures. was made invalid by WML event after move in move+attack sequence. * Allowed custom eras to define Lua AI modifications for games played with this era. invulnerable but cannot be assassinated easily. 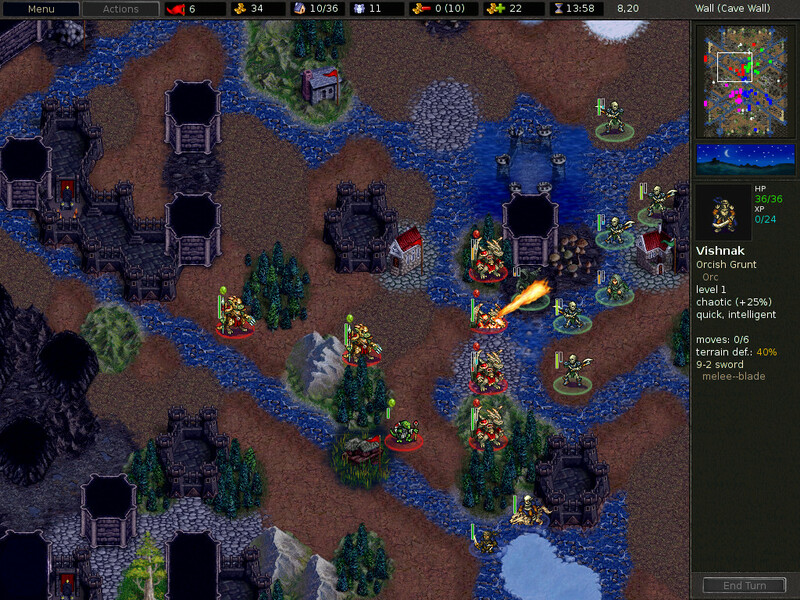 * Reduced the difficulty of scenario 14 and improved the AI of the ally. * Ensured graceful failure when encountering broken [advancefrom] tag. * Prevent dereferencing freed memory when reporting malformed maps, i.e.